Properly aligned teeth and jaws can prevent tooth decay, gum disease and other health problems. An attractive smile is a nice side effect of orthodontic care, but there are plenty of other reasons to see an orthodontist too. 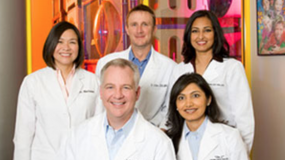 Please call our office if you don’t see your question or for more information on orthodontic treatments available. Find more information on orthodontic daily care here. 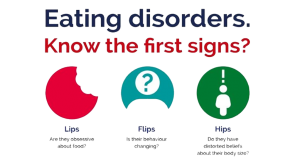 Stage I – Early Treatment: This period of treatment encompasses ages 2 to 6 years. 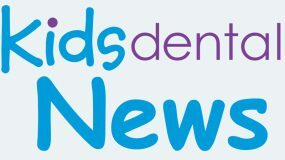 At this young age, we are concerned with underdeveloped dental arches, the premature loss of primary teeth and harmful habits such as finger or thumb sucking. Treatment initiated in this stage of development is often very successful and many times, though not always, can eliminate the need for future orthodontic/orthopedic treatment. Stage II – Mixed Dentition: This period covers the ages of 6 to 12 years, with the eruption of the permanent incisor (front) teeth and 6-year molars. Treatment concerns deal with jaw malrelationships and dental realignment problems. This is an excellent stage to start treatment, when indicated, as your child’s hard and soft tissues are usually very responsive to orthodontic or orthopedic forces. A: The American Association of Orthodontists (AAO) recommends an orthodontic screening for children by the age of 7 years. 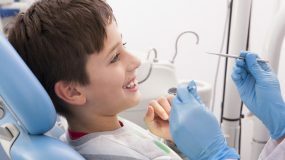 At age 7 the teeth and jaws are developed enough so that the dentist or orthodontist can see if there will be any serious bite problems in the future. Most of the time treatment is not necessary at age 7, but it gives the parents and dentist time to watch the development of the patient and decide on the best mode of treatment. When you have time on your side, you can plan ahead and prevent the formation of serious problems. A: Research has shown that serious orthodontic problems can be more easily corrected when the patient’s skeleton is still growing and flexible. By correcting the skeletal problems at a younger age we can prepare the mouth for the eventual eruption of the permanent teeth. If the permanent teeth have adequate space to erupt they will come in fairly straight. If the teeth erupt fairly straight, their tendency to become crowded after the braces are removed is diminished significantly. After the permanent teeth have erupted, usually between ages 12-14, complete braces are placed for final alignment and detailing of the bite. Thus the final stage of treatment is quicker and easier on the patient. This phase of treatment usually lasts from 12 to 18 months and is not started until all of the permanent teeth have erupted. Doing orthodontic treatments in two steps provides excellent results, often allowing the doctor to avoid removal of permanent teeth and jaw surgery. The treatment done when some of the baby teeth are still present is called Phase 1. The last part of treatment after all of the permanent teeth have erupted is called Phase 2. A: Crowded teeth, thumb-sucking, tongue thrusting, premature loss of baby teeth, or a poor breathing airway caused by enlarged adenoids or tonsils can all contribute to poor tooth positioning. There are also hereditary factors such as extra teeth, large teeth, missing teeth, wide spacing, small jaws — all can be causes of crowded teeth. A: Tooth movement is a natural response to light pressure over a period of time. 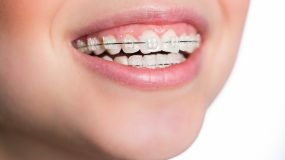 Pressure is applied by using a variety of orthodontic hardware (appliances), the most common being a brace or bracket attached to the teeth and connected by an arch wire. Periodic changing of these arch wires puts pressure on the teeth. At different stages of treatment your child may wear a headgear, elastics, a positioner or a retainer. Most orthodontic appointments are scheduled 6 to 8 weeks apart to give the teeth time to move. A: When teeth are first moved, discomfort may result. This usually lasts about 24 to 72 hours. Patients report diminished discomfort as treatment progresses. Over-the-counter medications such as acetaminophen (Tylenol) or ibuprofen (Motrin) usually provide relief.